In turboDial you can add a special designation to each Call Note to indicate the outcome of that call. 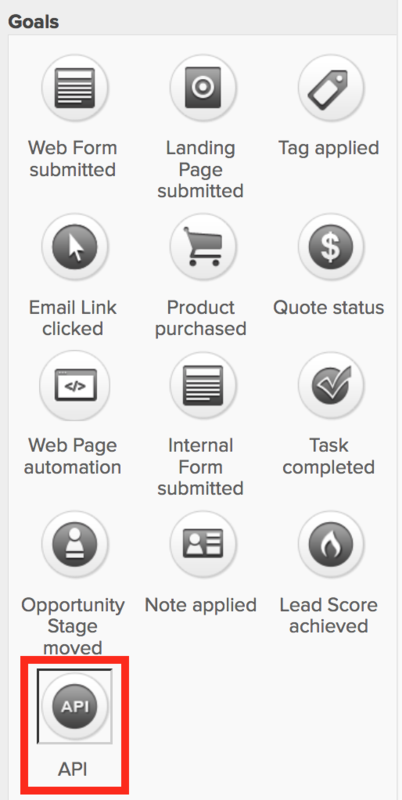 You can customize the “Call Outcome” choices to be a list that is specific to the needs of your company. See the section on “Call Note Custom Fields” for more information on setting up the Call Outcome choices. You can also setup Campaign Builder API Goals in an Infusionsoft campaign to be triggered when you designate a Call Outcome for a call. When you select a Call Outcome and press the save button, in addition to adding that Call Outcome value to the custom field in the Call Note, turboDial will also look for campaign API Goals to be triggered. 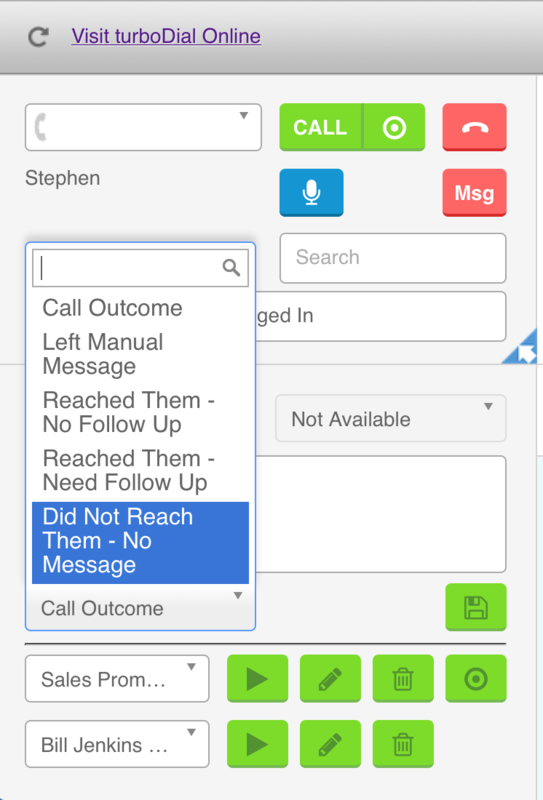 When you save any Call Outcome turboDial will trigger an API Goal specific to that Call Outcome. Call Name: Read below for how to set this field. For the Integration and Call Name values pay close attention to capitalization. Note the the ‘t’ in ‘turboDial’ is lower case and the ‘D’ is upper case. The API Goal Call Name must be a string of letters and numbers; it cannot contain spaces or punctuation. Choose the Call Outcome you want to build automation for, then set the API Goal Call Name by modifying the Call Outcome value to remove all spaces and punctuation. Please Read: After you add or change an API Goal in your Infusionsoft Campaign Builder you must inform turboDial to look for it by clicking the Reset Disabled Goals button in your turboDial Management Account. Notice the Call Name field is the Call Outcome value edited to remove all spaces and punctuation. Only letters and numbers remain, and the capitalization has also been retained. The last step is to create the automation actions inside the campaign sequence; for example, applying and removing tags. When I am done I will publish the campaign and now whenever I save a Call Outcome of “Did Not Reach Them – No Message” after a call this campaign will be launched. When you save any Call Outcome turboDial will trigger an API Goal specific to that Call Outcome, as described above. turboDial also triggers a generic API Goal and this generic goal is not unique to the Call Outcome that was saved; it is the same API Goal for any Call Outcome you save.